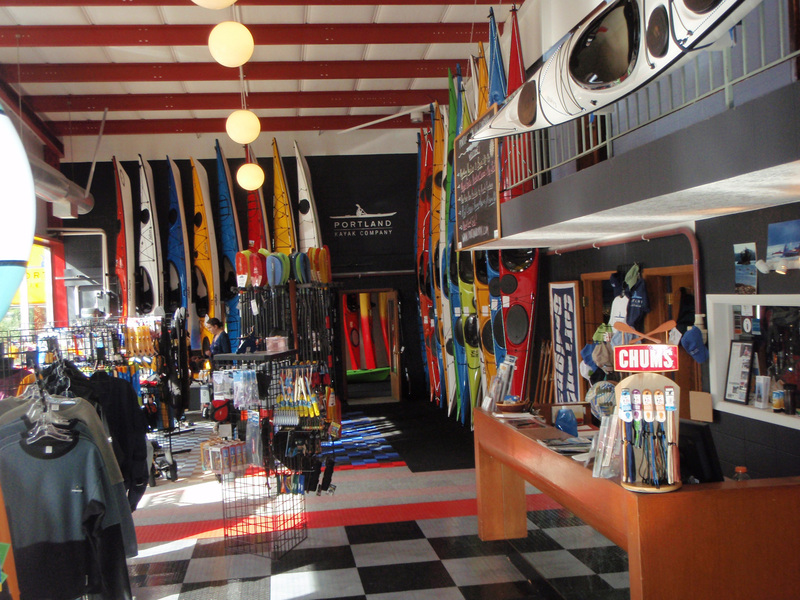 Visit our shop on Macadam Avenue to check out our complete selection of kayaks, paddles, paddling gear and accessories. Whether you are a seasoned paddler or just getting started, we have a kayak that will work for you. We carry a wide range of boats, from reasonably priced recreational kayaks to the finest high performance kayaks available. (Demos can be arranged for any of the boats that we have on hand – right out our back door). Our store is fully stocked with all the gear and accessories you need to paddle comfortably and safely, along with a well stocked library of books, dvds, maps and charts. Dragon Boat and SUP paddlers will also find paddles and paddling attire for every season. We offer free shipping on many items (U.S. only – excludes kayaks). If you are looking for something that we don’t currently have in stock just let us know – we are happy to place special orders. We hope that you are able to visit our shop in Portland, Oregon. If you are not able to stop by, please call. We will take your order over the phone and ship to your door. Please scroll down to see a list of brands that we represent in our shop.